Evolve Athletic Club welcomes both club members and non-members to experience total recovery. Dedicated to your complete health and wellness, from the moment you walk through our brand-new recovery center, we strive to provide you with the attention and care you deserve in our comprehensive facility. Each of our elite services is designed to give your body what it needs. Whether opting for a coach to perform rehabilitative tissue work after open gym, relaxing after a long week with a massage, time in our sauna, yoga, or a quick recharge with a cryotherapy session- you’ll find it all here. Residents of the surrounding Westchester area including Harrison, Ryebrook, Armonk, NY, we welcome you to experience total self-care. Replacing the ice bath, cryotherapy uses cold temperatures to evoke a reaction you can feel immediately promoting natural healing and wellness. Whole body cryotherapy is the modern application and stimulates the same rejuvenation at a whole new level of cold, in just three minutes. Benefits of a cryotherapy treatment include alleviation of muscle and joint pain, instant decrease in fatigue, decrease in mood disorders, reduced signs of aging, better sleep patterns. Come in and try our Impact whole body cryotherapy and cryo facials today! A healthy, deep, sweat aides in rejuvenation. Saunas flush toxins from the body and have multiple proven health benefits such as a decrease in muscle tension and a relaxed mind. Walk out flooded with euphoria as you prepare to take on the rest of your day, or end your night on the right note. Our 2 Person Clearlight Full Spectrum Infrared Sauna Sanctuary is equipped with the latest technology ideal for raising the core body temperature and reap all the benefits your body need after a workout. Every now and then, your body needs to completely unwind and heal from everyday wear and tear. There are many benefits massages have on your health including easing headaches, reducing inflammation after exercise, decreasing PMS and chronic pain. 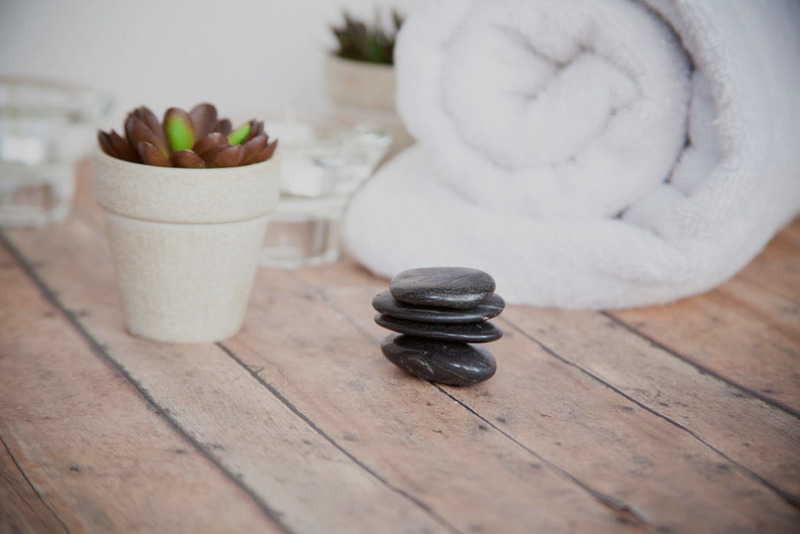 We welcome you to lay down and relax while we help you feel renewed, through a variety of massages including Swedish, aromatherapy, hot stone, shiatzu, to deep tissue, reflexology, and pregnancy massages. You deserve to treat your body to a massage. Relieve those deep knots and muscle tension by booking a session today! You work hard pushing your body through each workout, causing wear and tear on your joints and muscles. Make sure to give your body the proper stretch and recovery it needs to reach optimal health. From a lingering injury or strain, our certified-coaches practice therapeutic techniques to safely release ailment pain and restore blood flow. Through various stretches, compression, heat therapy, and advanced recovery equipment, our coaches work on specific areas of your body to release any and all tension. Feeling tense? Book a rehabilitation session today! Yoga is eccentric in your everyday life and its benefits go beyond just burning calories and toning your muscles. A total mind-body workout, Yoga combines strengthening and stretching poses with deep breathing and meditation or relaxation. Lead by our female instructor, we welcome you to train your body to be strong, balanced, and flexible. Whether you come solo or bring a friend, are a beginner or a yogi, our experienced instructor tailors the class to you and peers; no two classes are alike. As per equipment, mats and blocks are included and provided. This class is open to the public with a fee of $20.00. Open your mind, spirit, and body by partaking in a class today!